The quest series for the Akamora branch of the Mainland Fighters Guild, from the Tamriel Rebuilt plugin for Morrowind. You will first need to join the Mainland Fighters Guild, which is a separate guild to the one on Vvardenfell. Joining is easy enough if you are already a member of the Vvardenfell Guild, you will be automatically granted membership when you speak to a representative of the mainland guild. You can speak to Galan Brandt in Firewatch or Hartise, a Redguard female, in Helnim. Go to the Fighters Guild in Akamora and speak to Amiro, a Redguard. Ask him about orders, and then all the other topics raised in the conversation. "Amiro, Akamora's Fighters Guild steward, tasked me with taking out a bandit gang in Seranassid. I should also try and find Hozgub gro-Hazor, an Orc who was sent on this mission before me." Credit: The Tamriel Rebuilt Team and Bethesda Softworks Credit: The Tamriel Rebuilt Team and Bethesda SoftworksLeave Akamora and follow the road south west to the Inn Between. Hozgub is in the Inn, and your journal will update as you approach him. Speak to Hozgub, as if you return to Amiro without speaking to Hozgub and without killing the robbers, Amiro will send you back to sort out all the robbers and find Hozgub. In the Inn, speak to both Hozgub and Revas Baldaren about the cave to get more instructions on how to find it. Credit: The Tamriel Rebuilt Team and Bethesda SoftworksMake your way across country to Seranassid. Just inside the entrance is a pit with a plank over it; at the bottom of the quite deep pit (some means of getting to the bottom without falling is advised) is a small tunnel. At what end of it is a skeleton. In the sack next to it is an Iron Key. At the other end is a locked Chest with a Rising Force Potion which can be used to get back up to the top. Credit: The Tamriel Rebuilt Team and Bethesda SoftworksBack up top, beyond the pit is a fence with a locked and trapped door. Above the fence is, Sidonius Polinarus, a robber with a crossbow. The Iron Key found below opens the locked and trapped door. Kill Sidonius Polinarus and the other three robbers, Grito Pania, Menie Perius and Pavila Induvi. If you have already visited the cave and killed all the robbers, Amiro will tell you to find Hozgub. Don't kill him or you will be expelled from the guild. If you didn't find Hozgub, Amiro will tell you to go back and find him. 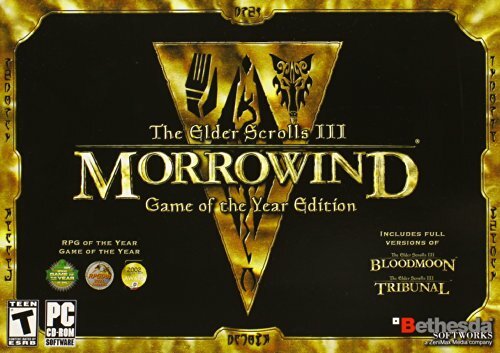 Once you have found and killed all the robbers, return to Amiro and speak to him about Hozgub and Seranassid and then him "The bandits are dead" and he will give you 400 septims and +3 Reputation in the Mainland Fighters Guild. Speak to Amiro again and ask him about "orders" and then "eliminate Tedril Draren." "I am to eliminate Tedril Draren, a highwayman preying on pilgrims at the Shrine of Hindsight." Credit: The Tamriel Rebuilt Team and Bethesda SoftworksAmiro tells you how to get to the Shrine of Hindsight - it isn't marked on any map. Follow his instructions to get there. On the way, outside the Kodasha Egg Mine, is a dead female Nord, Heafida. On her body is the Conjuration skill book Feyfolken, Book Two as well as some ingredients - 13 Scamp Skin, 3 Willow Anther, 3 Wickwheat and Void Salts as well as a Silver Staff of Chastening. Credit: The Tamriel Rebuilt Team and Bethesda SoftworksThe cave is located at the end of the vale Amiro tells you of, beyond the pool. Inside it is Tedril Draren, a Dunmer Assassin. Kill him to complete the job. Credit: The Tamriel Rebuilt Team and Bethesda SoftworksIf you progress through the cave to the end you will come upon the Shrine of Hindsight in a hollow. There is no exit this way without using levitation; you could also enter using the same and enter the cave from this side. Return to Amiro and tell him that Tedril is dead. You will be rewarded with a Talisman of Perseverance which has the following constant effects when worn - Fortify Attack +5, Fortify Fatigue +10 and Fortify Strength +2 - and +5 Reputation in the Mainland Fighters Guild. Speak to Amiro about "orders" and "absconded from the Akamora Egg Mines." "The Fighters Guild has been contracted to catch two slaves who have absconded from the Akamora egg mines: an Argonian named Heel-Kur, and a Khajiit called Lijarra. However, Amiro is not a supporter of slavery, and has urged me to give the slaves a chance to escape while maintaining plausible deniability. If I choose to help the slaves rather than catch them I should not talk to guards or anyone from the houses Senim and Aravel, who own the mine, about the missing slaves." Credit: The Tamriel Rebuilt Team and Bethesda SoftworksYou can then talk to Laalalvo Irano, who is not impressed with the idea of helping the slaves escape. "Laalalvo Irano, the guildmaster of the Akamora Fighters Guild, has warned me about taking Amiro's instructions to heart. If the slaves manage to escape with my help, the reputation of the Fighters Guild will be damaged. She urged me not to help the slaves." There are a lot of ways this quest can turn out, some better than others and some disastrous. Choose which outcome and rewards you prefer, as different things need doing for each outcome. Credit: The Tamriel Rebuilt Team and Bethesda SoftworksYou can help them escape discretely, or not so discretely in which case you will lose equipment chest access. You can betray Heel-Kur and Lijarra to either the guards or mine owners, kill Lijarra and return Heel-Kur, allow all the slaves to escape. Killing both Heel-Kur and Lijarra results in no further orders from the Akamora guild and no access to that guild's equipment chest. Credit: The Tamriel Rebuilt Team and Bethesda SoftworksIf you forced the bracers on Heel-Kur, take him back to the Aravel-Senim Egg Mine. Once inside, Heel-Kur tells you to speak to the overseer Narsula; do so, and return the key to her. Credit: The Tamriel Rebuilt Team and Bethesda SoftworksIf you said that you will help them, Heel-Kur says that either they need two invisibility potions of quality or greater or a distraction, which can be done using the key he gives you. You can also now betray them to. Go and tell the guards or mine owners where the slaves are. Credit: The Tamriel Rebuilt Team and Bethesda SoftworksThe key can be used to free the rest of the slaves. If you decide to drop the key as a diversion, go to the Indaren-Veri Egg Mine and drop the key inside. Speak to the guard at the crossing near the hut, then return to the hut to tell Heel-Kur. If you decide to get two invisibility potions of quality or better then, if you don't have or can't make them, Hala Mamndt sells them at the Firewatch Mages Guild, just a guild guide away. Return to the hut with the potions and give them to Heel-Kur, who will tells you about the Twin Lamps and, in the future, will boost your disposition with the Twin Lamps on the mainland once it's added. If you killed them both, you will lose 5 reputation in the Mainland Fighters Guild. If you turned them in, you will gain +5 reputation in the Mainland Fighters Guild and 1,000 septims, but make sure you have first returned the slave key. Assuming that you haven't made such a mess of things that the Akamora guild refuses to deal with you, from now on you will get orders from Circus Leonos or Laalalvo Irano. If Laalalvo is annoyed with you, you will likely only be able to get orders from Circus initially. The next quest is A Lifted Ledger.